PowerPoint presentations offer a great way to communicate structured information to your viewership. And if you’re thinking about sharing them on your site to recap presentations that you’ve delivered, propose new product ideas to clients, offer how-to guides, or communicate your product’s features, then you’re going to need to find a way to embed them in your website. Thankfully, there are a few different ways you can go about embedding PowerPoint presentations in WordPress such as uploading them directly from your drive or from a third-party service. With this in mind, in this post, we’ll show you how you can embed PowerPoint in WordPress in three different ways by offering step-by-step instructions and recommending useful plugins and tools along the way. Why Would I Want to Embed PowerPoint Into WordPress? Presentations are visually appealing and incredibly easy to understand. They allow you to offer something other than the same old blog post while still making sure you’re able to cover the topic. Inspire, inform, and educate your viewership by embedding #PowerPoint presentations in #WordPress. Good for SEO. Presentation slides contain keywords and phrases that are connected to your business niche. The most important factor contributing to the document’s ranking is its title because it appears in the URL of the uploaded document. You can embed and tag the document to get maximum SEO benefits from the slides that you want to embed in your site. Improves readability. Presentations are uncluttered and to the point. This significantly improves the readability of your content for the viewer. And if you plan on using a single page for each slide, then this will definitely improve the overall readability of the entire presentation. Increases conversion rates. You can increase your conversion rates by making your presentations more engaging. PowerPoint presentations also allow you to implement online marketing strategies such as backlinks and high-converting landing pages. In addition to this, embedding a PowerPoint on your WordPress site helps retain customers. As an added benefit, the bounce rate of your site will also decrease. Before you can reap the benefits of having presentations on your website, let’s take a look at how you can embed PowerPoint presentations in WordPress. How Do I Embed PowerPoint Presentations in WordPress? Embedding PowerPoint presentations in WordPress manually is pretty simple. However, by using some helpful plugins you can make it even simpler, have better control over its display, and be able to manage your uploads. 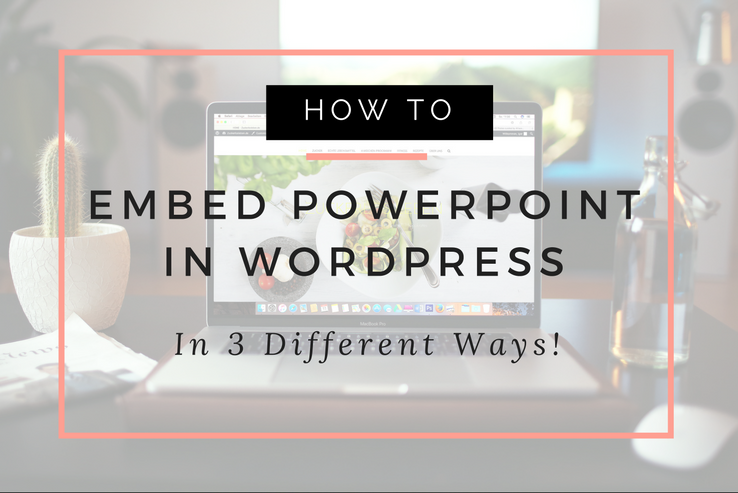 In this section, we’ll walk you through three different ways of embedding PowerPoint presentations in WordPress. If you’d like to host your presentations on your website’s server, then you have the option of directly embedding them into your WordPress website from your computer’s drive. This option is great for organizations and individuals who upload presentations once in a while. To get started, login to your WordPress website and head over to Plugins > Add New. From there, search for the Embed Any Document plugin. Once you’ve found it, install and activate it. Once you have the plugin activated, you can go to its General Settings screen by navigating to Settings > Embed Any Document. The General Settings screen allows you to configure how the PowerPoint presentation will appear on the front-end. It also lets you enable download links and set the download link’s text. Next, open up the page (or post) in which you want to embed the PowerPoint presentation. For the purpose of this tutorial, we’ll demonstrate by embedding a PowerPoint presentation to a WordPress page. You should see an Add Document button next to the Add Media button in the editor screen. When you click on the Add Document button, a pop-up will appear on your screen prompting you to choose your upload method. 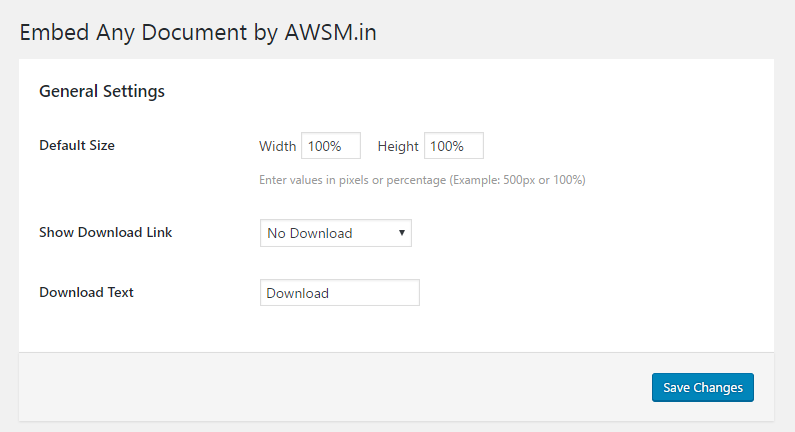 From there, click on the Upload Document option and upload your PowerPoint using the WordPress uploader. Once the PowerPoint is uploaded to your website’s back-end, you’ll see a pop-up on your screen that lets you review and modify your presentation’s display settings and generates a shortcode accordingly. 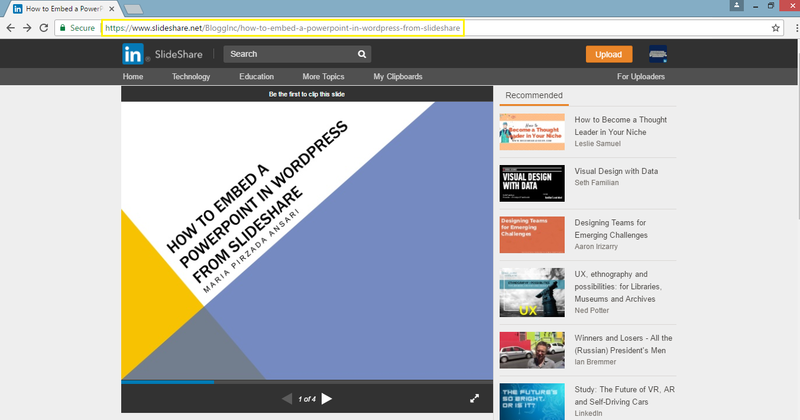 SlideShare is like the YouTube for presentations. This third-party service allows you to upload PowerPoint presentations to its server and share them on your WordPress site. Organizations that publish tons of presentations regularly can use SlideShare to host their files instead of uploading them to their own website. To get started, log into your SlideShare account and find the PowerPoint presentation you want to embed in your WordPress website. Copy its URL from the browser’s address bar. Next, log into your WordPress website and head over to the page (or post) in which you want to embed the PowerPoint presentation. For the purpose of this tutorial, we’ll demonstrate by embedding the presentation in a WordPress post. From there, click on the Text tab and paste the URL link in the post. Open up the Google Slides that you want to embed in your WordPress post (or page) and head over to File > Publish to the web…. From the Publish to the web pop-up screen, click on the Embed tab and configure the presentation’s display settings. Once you’re done, click on the Publish button. A text area containing some code will appear on the pop-up screen. Copy the code snippet to your clipboard. Now, login to your WordPress website and open up the post (or page) in which you want to embed the Google Slides presentation. Open up WordPress’ HTML text editor and paste the code snippet where you want the presentation to appear. PowerPoint presentations bring structure to your content and give it some life. And sharing these presentations through your WordPress website can bring more traffic to your site and help you deliver more value through it. We showed you three different ways to embed PowerPoint presentations in WordPress and the method you decide to go with depends on certain factors. 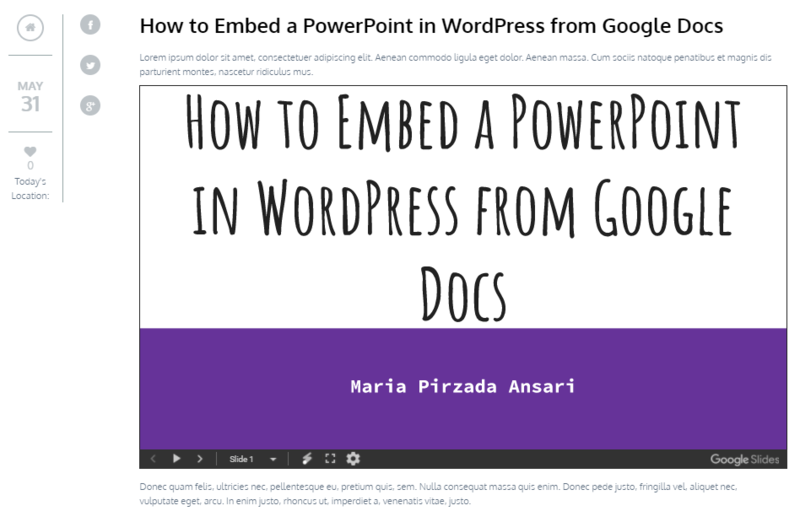 If you create PowerPoint presentations on your computer, then you can embed them to your WordPress site using the Embed Any Document plugin. Those of you who create tons of presentations might want to host them on a third-party service (like SlideShare) and embed them to WordPress from there. And if you prefer Google Slides for creating your online presentations, then you can manually embed them to your WordPress post (or page) in a few simple steps. Which method of embedding PowerPoint presentations in WordPress are you thinking about trying out and why? Let us know by commenting below!